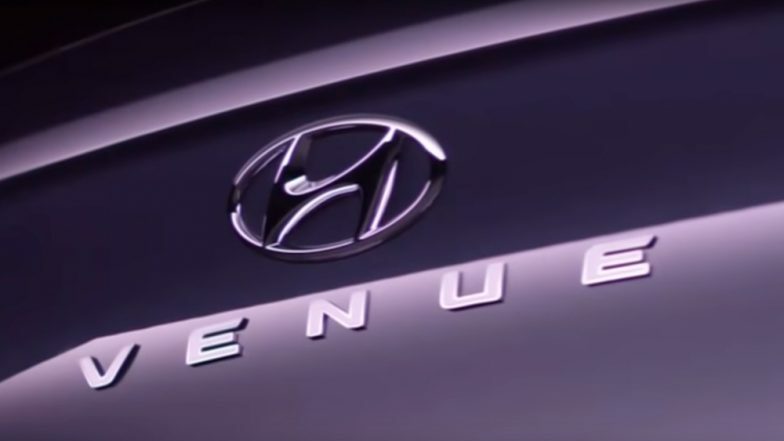 Hyundai, the South Korean automaker officially announced the production name of the forthcoming QXi compact SUV, which is called as Hyundai Venue. The sub-4m SUV will take on Tata Nexon, Mahindra XUV300, Ford EcoSport and Maruti Vitara Brezza. Slated to make its global debut at 2019 New York Motor Show, the car maker will also be revealing the SUV for the Indian audience on April 17, 2019. As per the market reports, it is speculated that the SUV could be launched in the country during May-June 2019. Hyundai QXi Aka Styx Sub-Compact SUV Christened As Hyundai Venue; Maruti Vitara Brezza Rival To Be Unveiled on April 17, 2019. Platform: The new Hyundai will mark Hyundai's official entry into sub-4m SUV segment. The new Hyundai Venue will be based on new Santro's platform that will also underpin upcoming Hyundai Grand i10 hatchback. Engine Specifications: Under the hood, the Venue sub-compact SUV could be seen in three avatars which might include 2 petrol engines and 1 diesel unit. The petrol engines are likely to be 1.4-litre petrol and 1.0-litre turbocharged units whereas the oil burner will be a 1.4-litre engine. The 1.4-litre petrol mill is capable of making 99bhp and 132Nm whereas the turbocharged engine will make 100 bhp and 172Nm of power figures. On the other hand, the oil burner is capable of generating 89bhp and 220Nm. Transmission: The transmission duties on the new Hyundai Venue could be carried out by 6-speed manual as standard that will drive the power to the front wheels. It is also speculated the SUV will also be offered in automatic avatar wherein the engine will be mated to a dual-clutch automatic drivetrain. Exclusive! 2019 Hyundai Grand i10 Hatchback Spied Testing Near Lonavla; View Pic. Features: Hyundai's smallest SUV is expected to be loaded with host of new feature that are not offered on Nexon or Vitara Brezza. The compact SUV will sport 8-inch touchscreen infotainment system with Apple CarPlay and Android Auto compatibility. The SUV is also expected to feature segment-first telematics system and ventilated front seats. We can also expect dual-airbags, ABS with EBD, parking sensors, auto climate control, cruise control and much more. Expected Price & India Launch: The upcoming Hyundai Venue sub-4m SUV is expected to be launched in the Indian market in next couple of months, probably May-June. However, the SUV will be unveiled on on April 17, 2019. When launched, the new SUV is expected to be priced in between Rs 8 Lakh to Rs 12 lakh (ex-showroom).